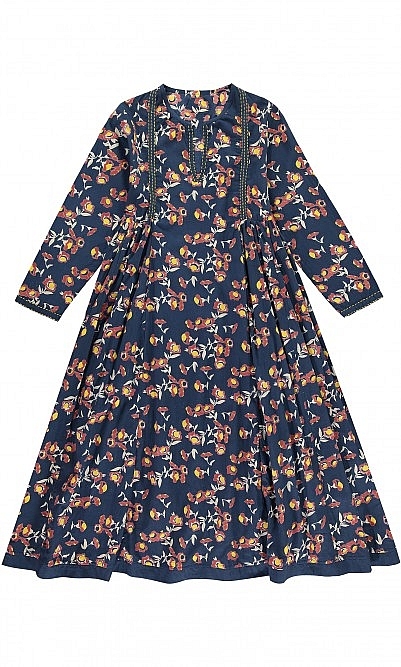 Bohemian floral print dress with sunflower yellow stitching. Inverted pleats add movement to the skirt. L120cm. Fabric and care: 100% Cotton. Cool wash.